Fun Instructors For Guitar Lessons In Davie Florida — Are you searching for Music Lessons Near Me? • Elite Music Instruction guarantees your guitar teacher will be right for you or your first lesson is FREE. • Guitar teachers who specialize in teaching children thru adults & beginners thru advanced levels. • Since 1996 we have taught millions of music lessons. • No Contracts & FREE Enrollment. Elite Music Instruction's guitar teachers in Davie have music degrees from some of the most prestigious colleges of music in the world. Elite Music Instruction's guitar teachers have more than just an exceptional ability to play guitar and vast knowledge of music. Our guitar teachers have the personality required to teach fun and productive guitar lessons. 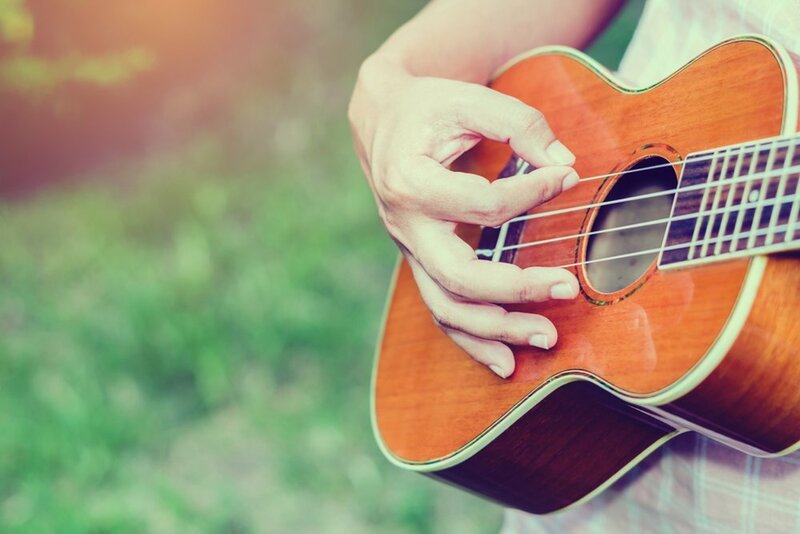 Our guitar teachers feel that it is important to provide a positive balance between lesson structure and flexibility in the type of music you want to play. Patient, professional, fun, friendly and reliable guitar instructors provide an easier and more rapid learning process. Finding the right instructor for your personality and for the type of music you want to learn is as important as selecting the instrument you want to play. Elite Music Instruction's custom student / teacher matching system is essential to making your musical journey exciting and productive. Your Music Education Advisor will take the time to understand your musical needs and your personality needs. Your Music Education Advisor will need to know what genre of music you want to play and what method you would like to use to learn. For instance, most parents want their children to learn to read music and understand music theory; however, some teenagers and most adult students want a fast track to playing their favorite songs and just want to learn to play by ear. Whatever you desire, your Music Education Advisor will work with you to find the guitar teacher that will be appropriate to fulfill your musical dreams. We are all unique. What type of student are you? Some students are visual learners and some are auditory learners. Our guitar teachers have the aptitude to personalize your guitar lessons to best fit your abilities. Best of all, you will learn how to play guitar while learning your favorite songs. This will make your musical journey a fun journey. Am I too young or too old to take guitar lessons? In short, NO! If a guitar teacher has told you, "your child is too young" or" you are too old to start guitar lessons" it's probably because the guitar teacher you were speaking would not be a good teacher for Elite Music Instruction. We believe that there is no set age to start taking guitar lessons. It simply depends on the individual student. Consider this, no one knows for sure, but Mozart was probably about two or three years old when he first started taking music lessons. What we do know for sure is that at the young age of five, Mozart not only learned to played music but started composing his own musical scores. If you have the time to practice, you can learn to play guitar. Learning to play guitar is like learning most anything. You'll need time and dedication. If you don't have time and dedication, then you will need the world's best guitar instructor. Certainly, you have come to the right place for that. Call a Music Education Advisor today to be custom matched with one of Elite Music Instruction's certified guitar teachers. Are you Searching for “Music Lessons Near Me” Search no more. Elite Music Instruction Provides Guitar Piano Voice Drum Violin & Other lesson types in your home or studio in the Davie Area. Please call a Music Education Advisor to find other instruments we currently provide lessons for.